Paper new year greeting cards. Sold in sets of 4 cards (2 pieces for each of the 2 designs). 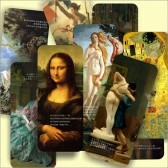 Unique Chinese greeting cards to celebrate the New Year. 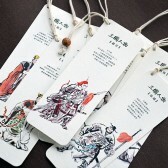 Each card contains a traditional Chinese paper-cutting design. The golden Chinese symbols say "Happy New Year". 5.9" X 8.7" (15cm X 22cm), folded paper cards, inserts and envelopes included. Sold in set of 4 (2 pieces for each of the 2 designs).